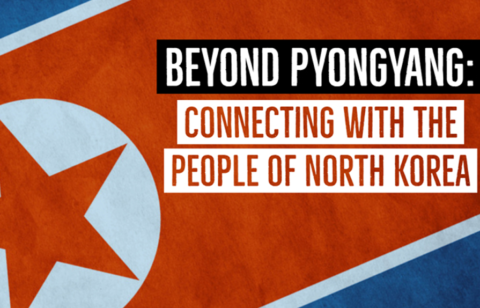 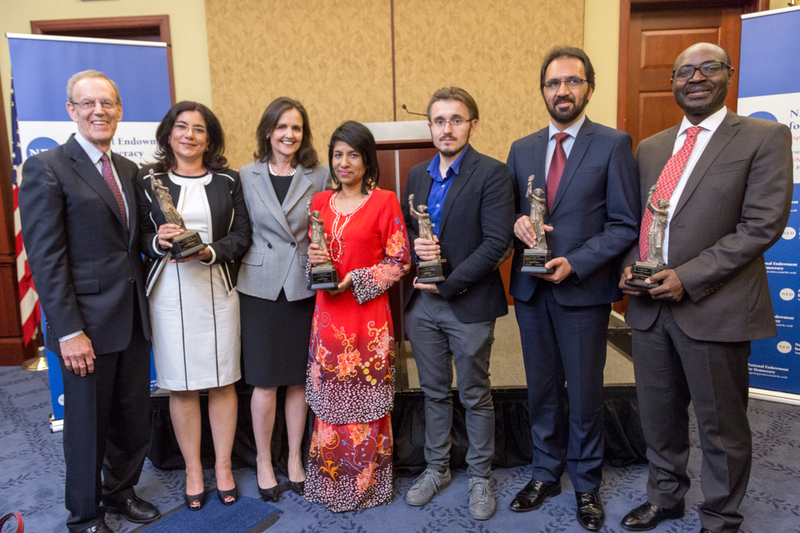 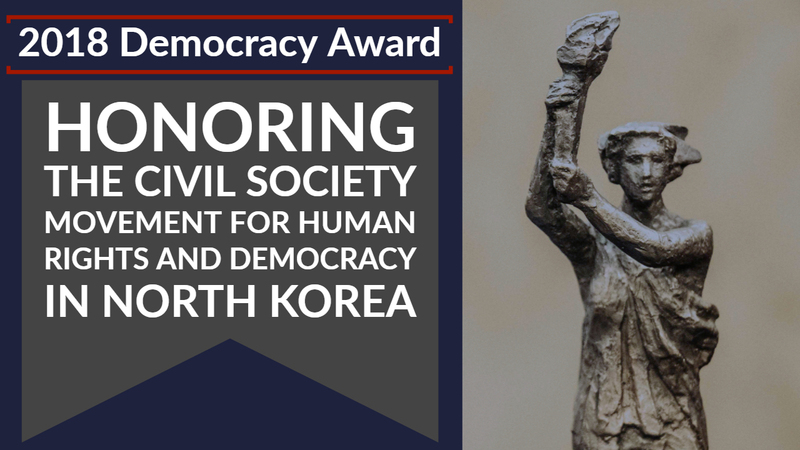 The Democracy Award is given annually by our Board of Directors to recognize the courageous and creative work of individuals and organizations that have advanced the cause of human rights and democracy around the world. 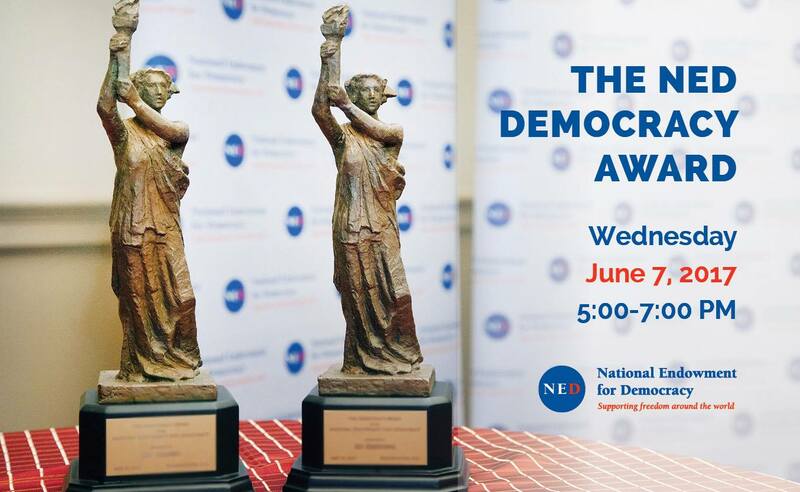 The NED’s Democracy Award is a small-scale replica of the Goddess of Democracy that was constructed in Tiananmen Square in Beijing, China during the student movement for freedom and democracy in 1989. 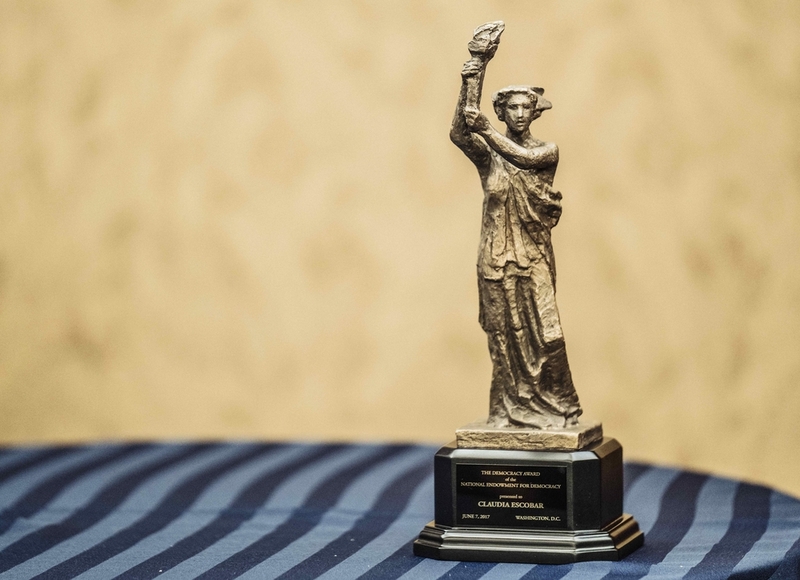 In 1991 the National Endowment for Democracy began presenting the symbolic statuette as its annual Democracy Award.